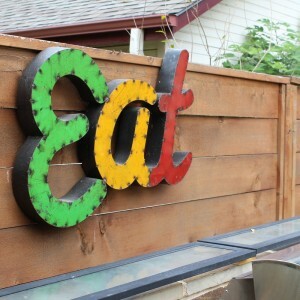 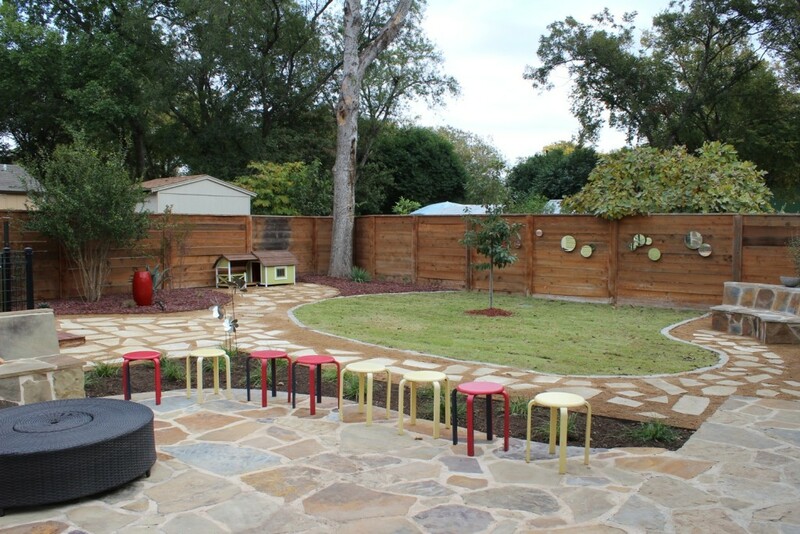 This fun couple has some great ideas of their own that helped shed light onto the whimsical transformation! 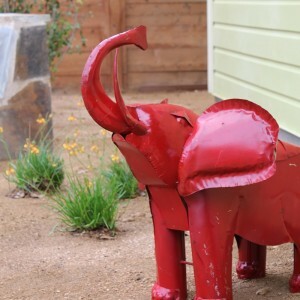 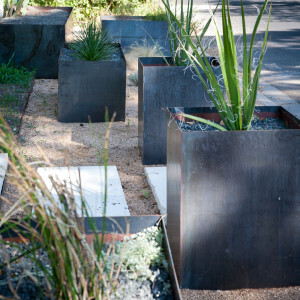 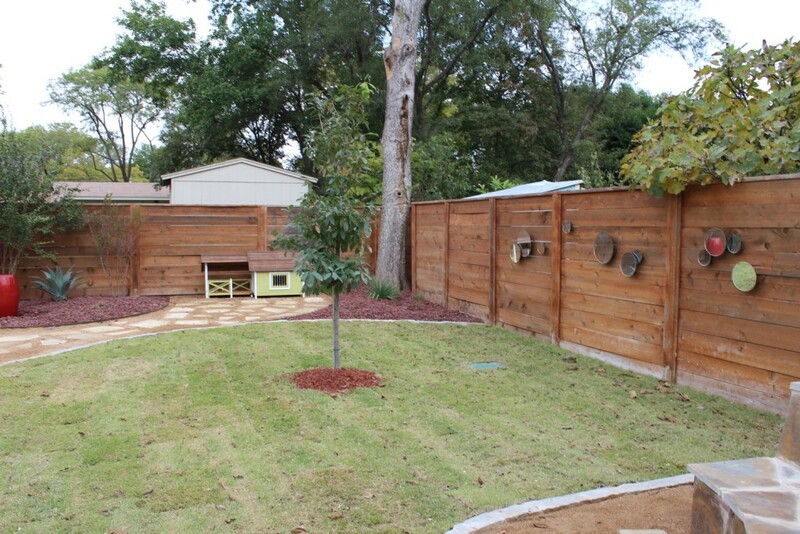 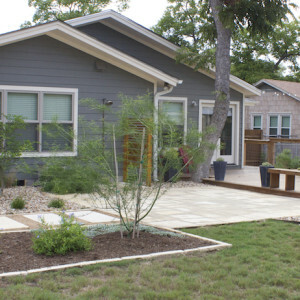 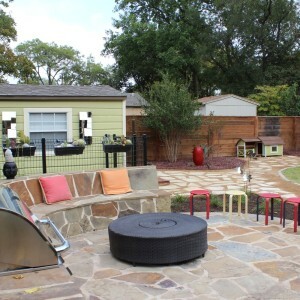 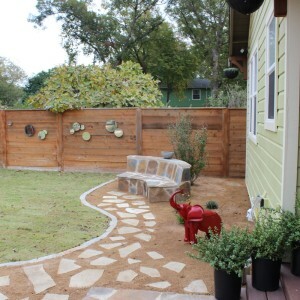 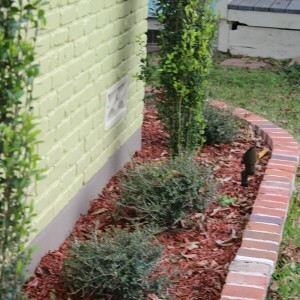 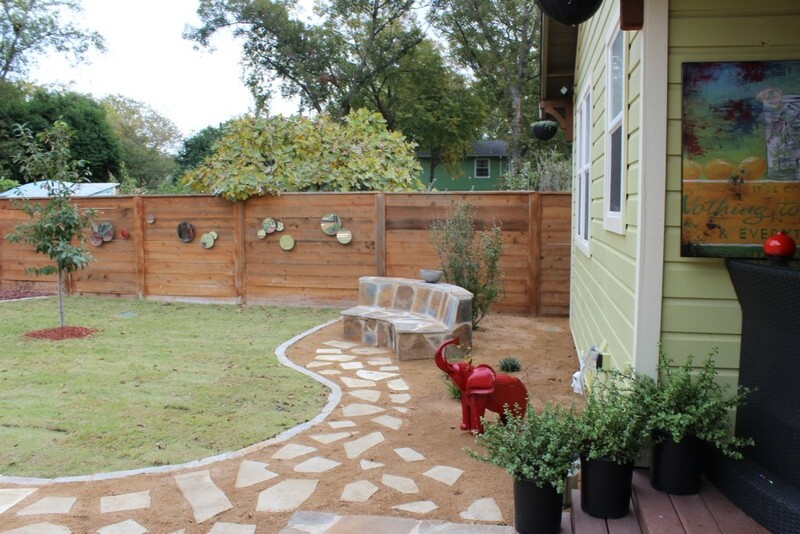 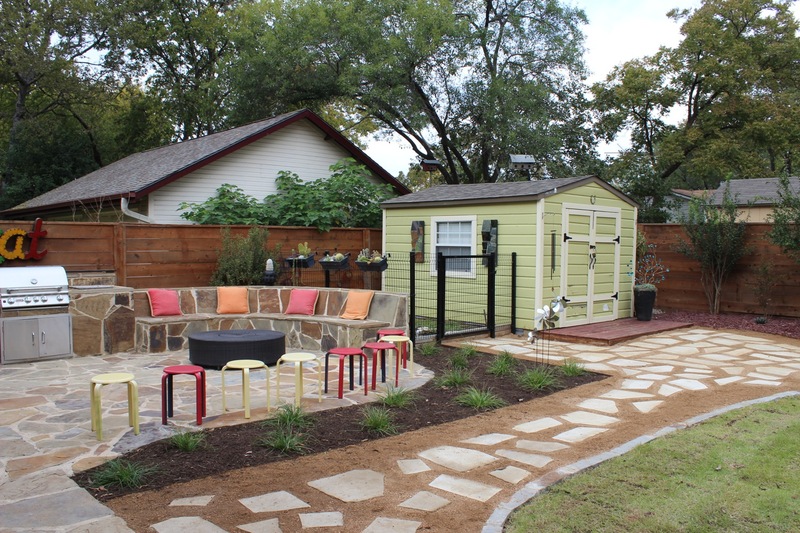 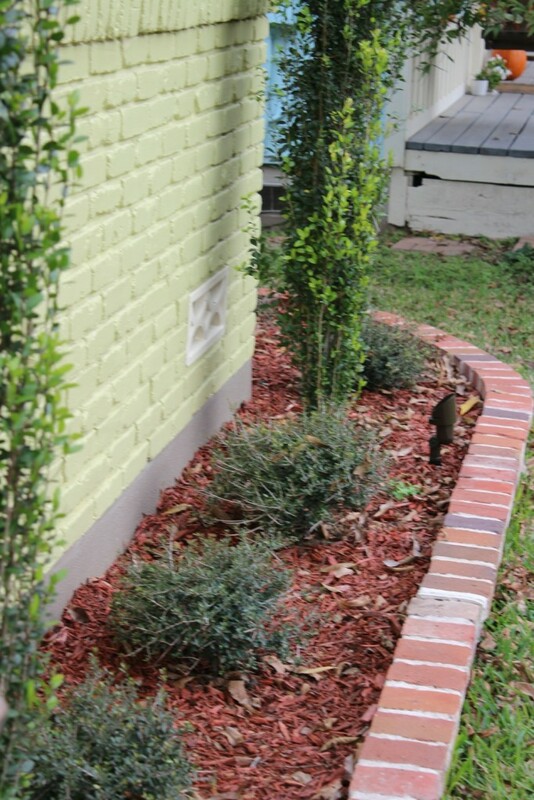 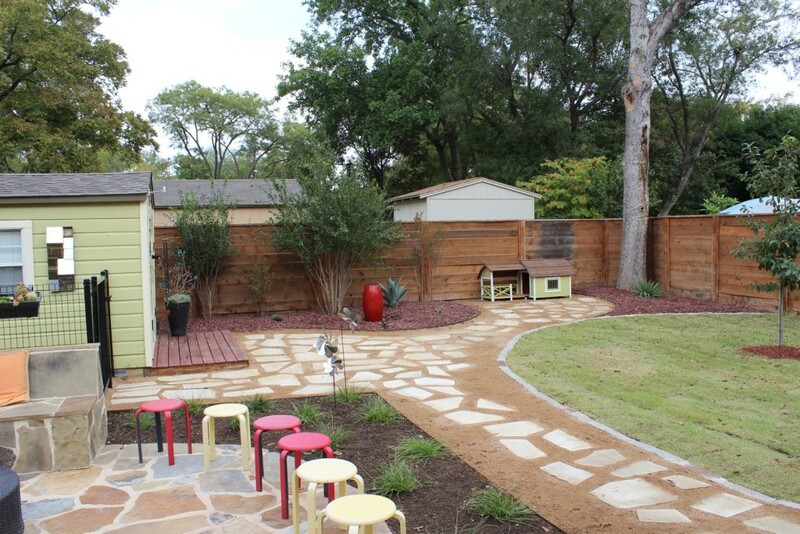 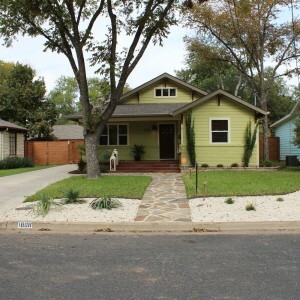 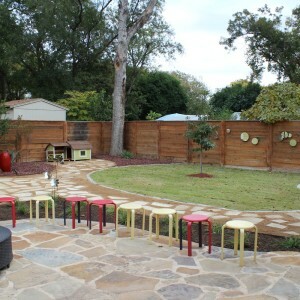 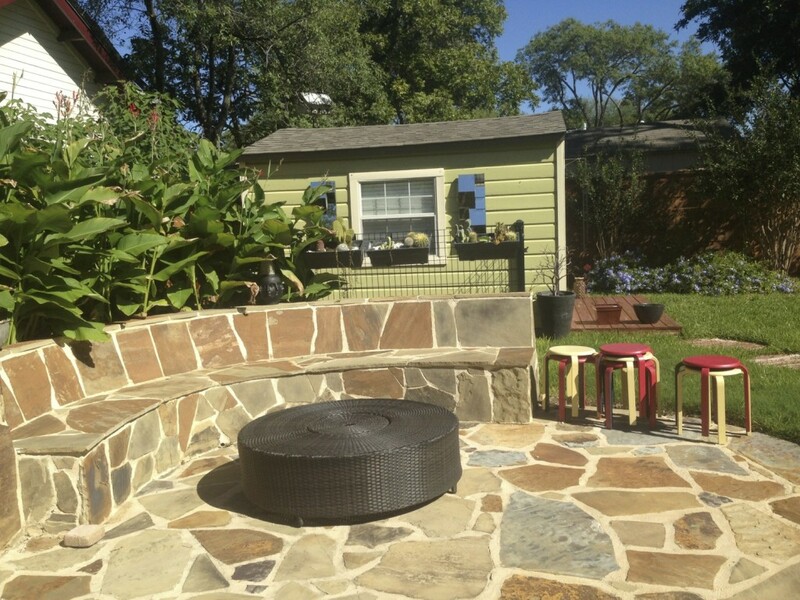 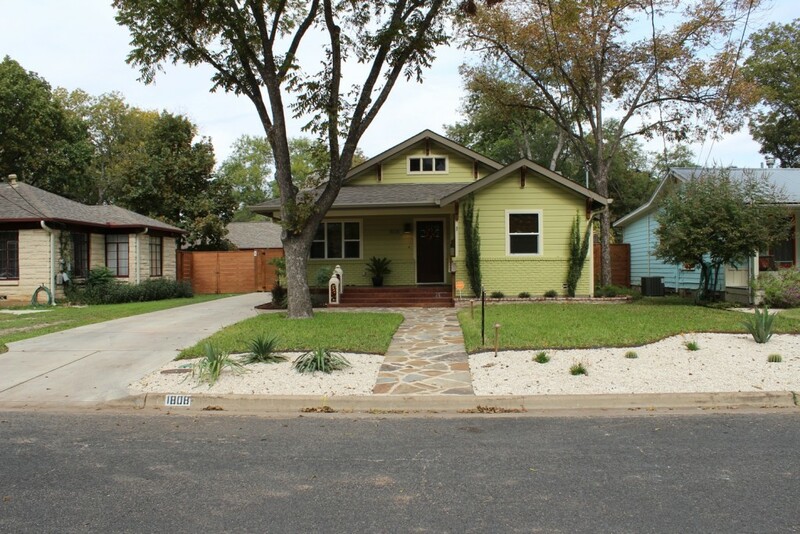 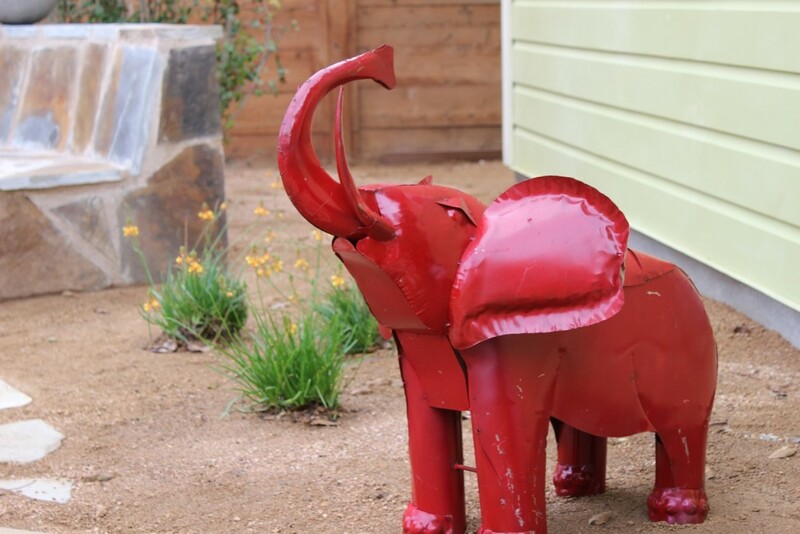 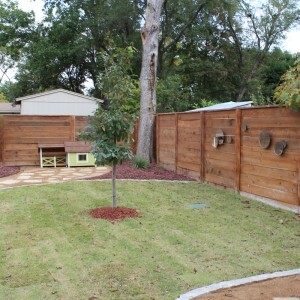 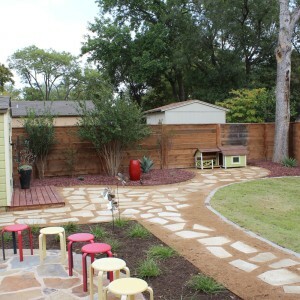 By adding small features such as their new dog house, a new fountain focal piece, fun garden art, and a great shade tree; this yard took on a whole new life! 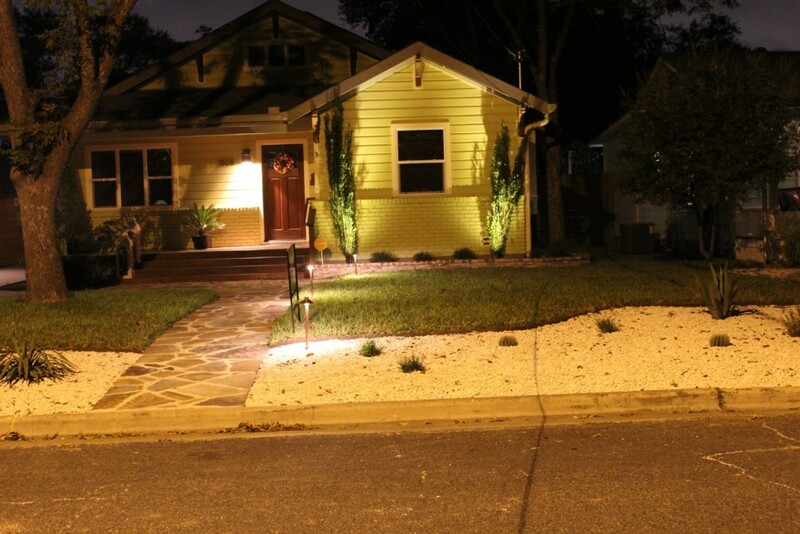 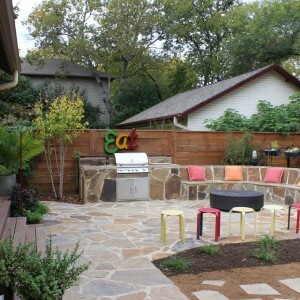 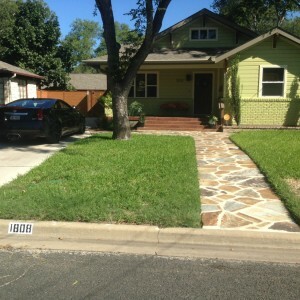 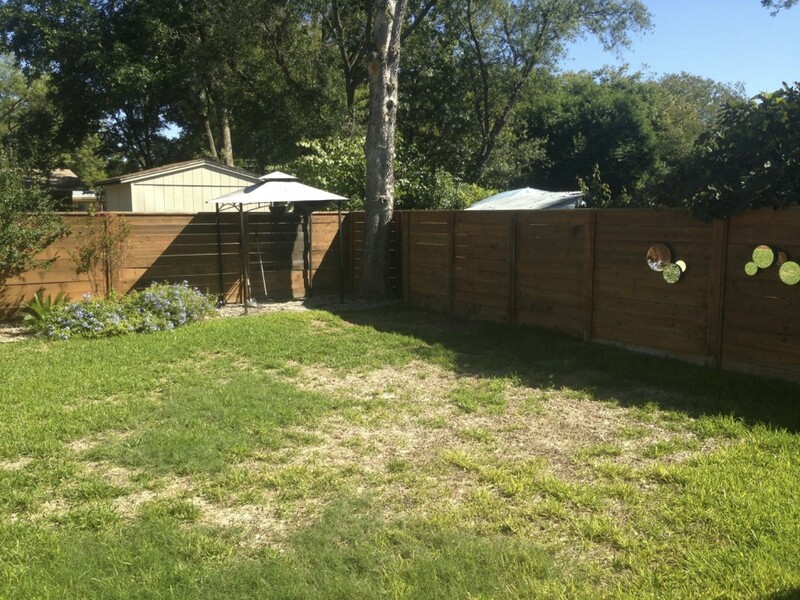 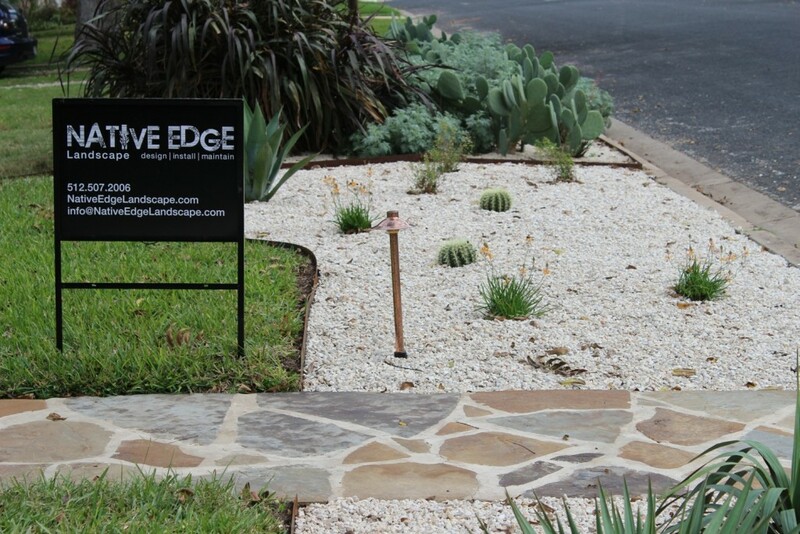 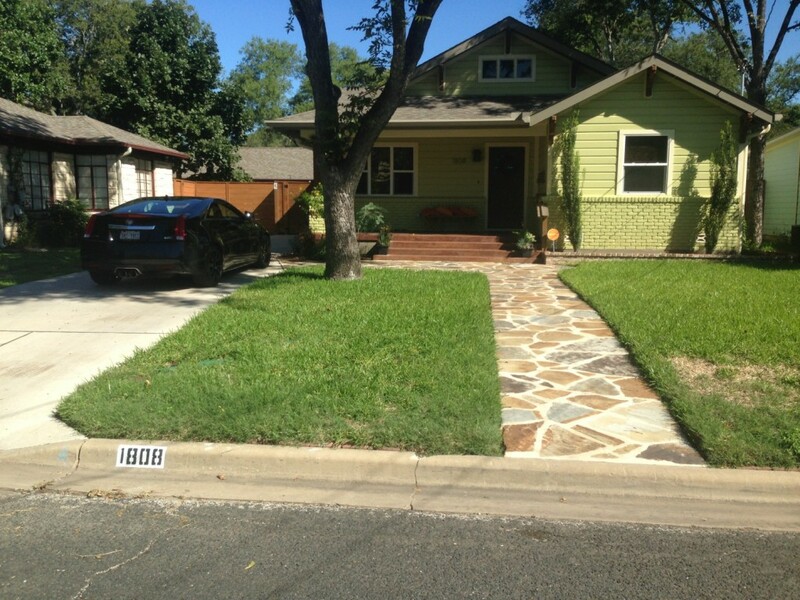 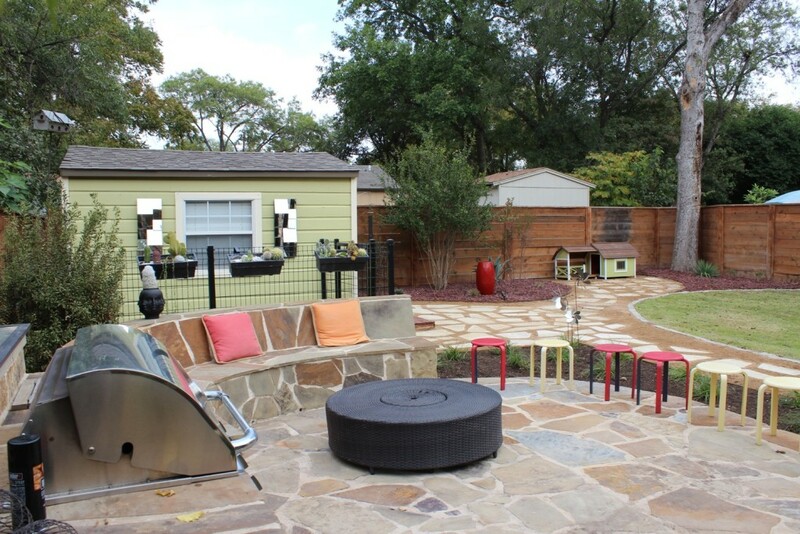 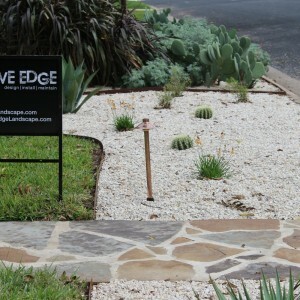 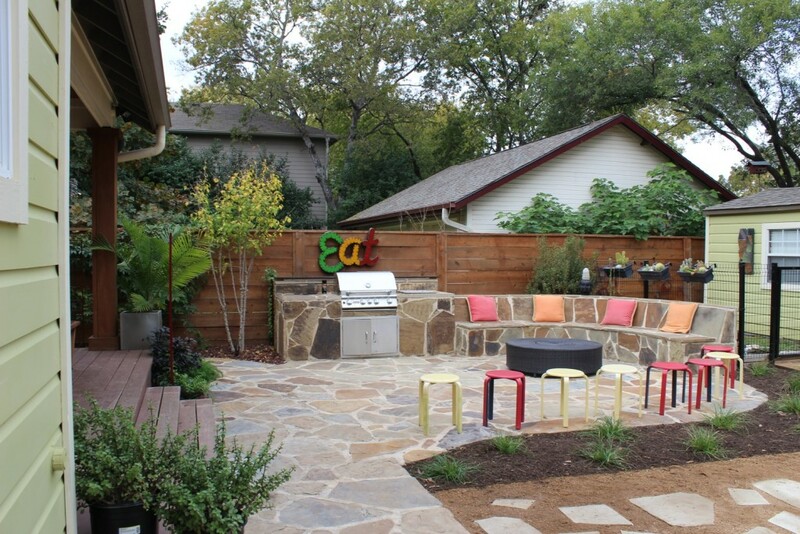 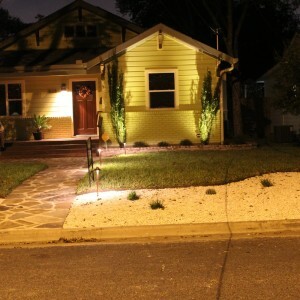 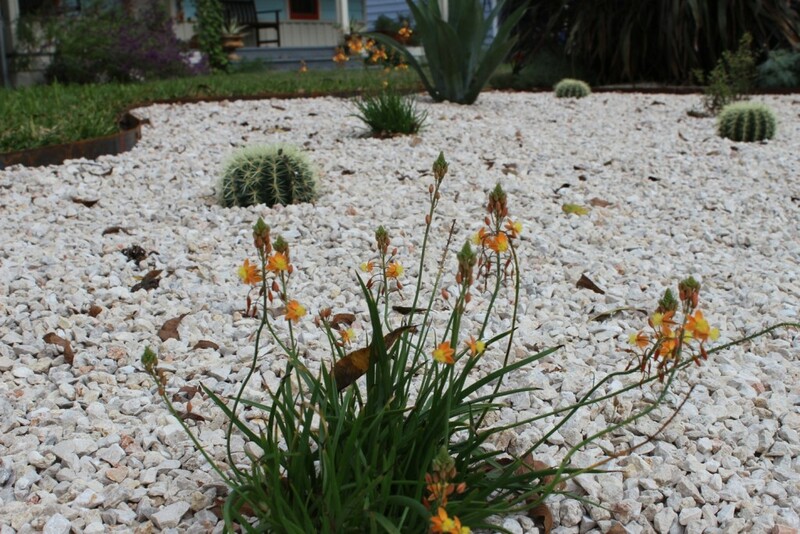 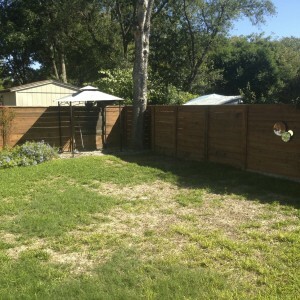 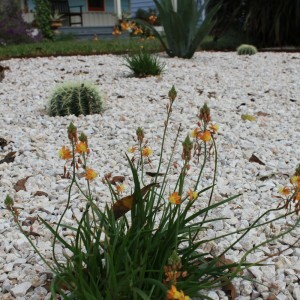 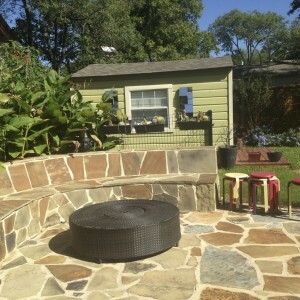 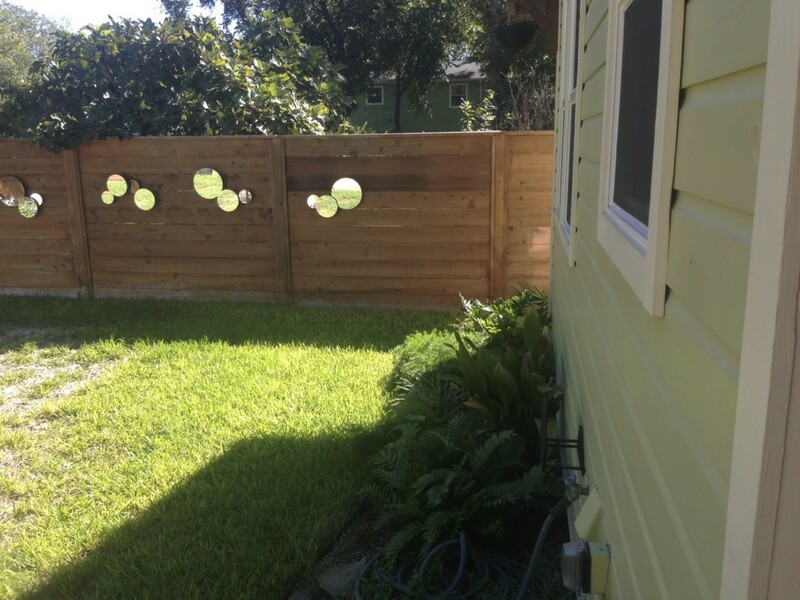 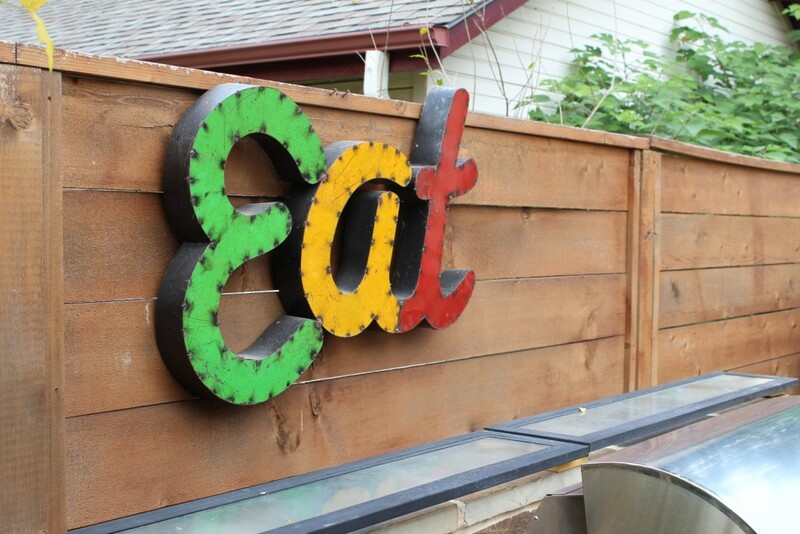 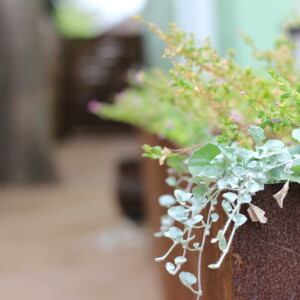 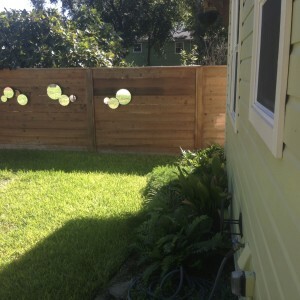 Together we took this yard from barley functional, to a fabulous entertainment space!